The Hailakandi district administration has taken a slew of steps to ensure smooth, free and fair, transparent and impartial Lok Sabha elections in Hailakandi district in second phase on April 18. In order to ensure 100 per cent voting in all the three LACs of the district falling under 1 HP Karimganj SC constituency, zonal and sector officers along with booth level officers have been moving to several remote polling stations and meeting various sections of the public to dispel any apprehension and fear in the pursuit of ‘no voter to be left behind’. Jalli said there will be enough deployment of forces reinforced by Static and Mobile Surveillance Teams and there is absolutely no reason to fear elections this time around. “Ample security is being provided this time so that no section of the society feel their franchise being robbed of,” said Jalli. 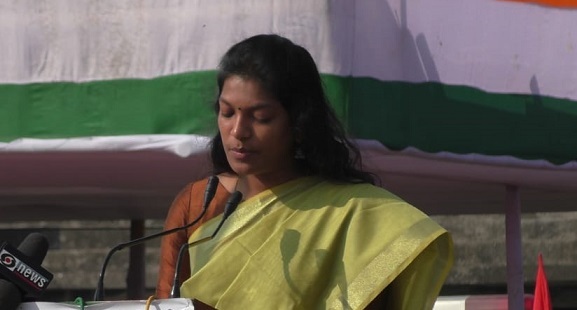 She revealed that Hailakandi district that constitutes a sizable part of the Karimganj parliamentary constituency has been divided into eight zones and 56 sectors with 15 sub centres for smooth conduct of the polls. Jalli further disclosed that as part of the security mechanism, circle officers, AROs, executive magistrates and officials armed with magisterial powers will move from one polling station to another to tackle any situation during the day of polling. “I do not see any reason for any lapse on the part of the administration in conducting the polls in a free and fair manner,” added Jalli. Besides toll free No.1950, the district administration has opened a control room with phone numbers 22337703844 and 18003453550 for lodging of any election-related complaints.The general public, political parties and media persons can contact the election observer at his mobile numbers 6002656645/9434243424 and e-mail id observer.2019elections@gmail.com. The district administration has developed a unique app ‘NICetr’ (Sanskrit word for Observer) to detect electoral malpractice, besides arranging live webcasting from 40 polling stations as part of its drive to ensure free and fair elections. Community level meetings and with various vulnerable sections of people are being held by the civil and police administration to motivate them to come out and vote in a big way on polling day. From voter awareness campaign and free distribution of sanitary pads to woo women voters to setting up mock polling stations and offering attractive discounts on an array of products, the district administration is pulling out all stops to ensure 100 per cent voter turnout in this year’s general elections slated for April 18.